LAS VEGAS, NV — Holley EFI users, rejoice. 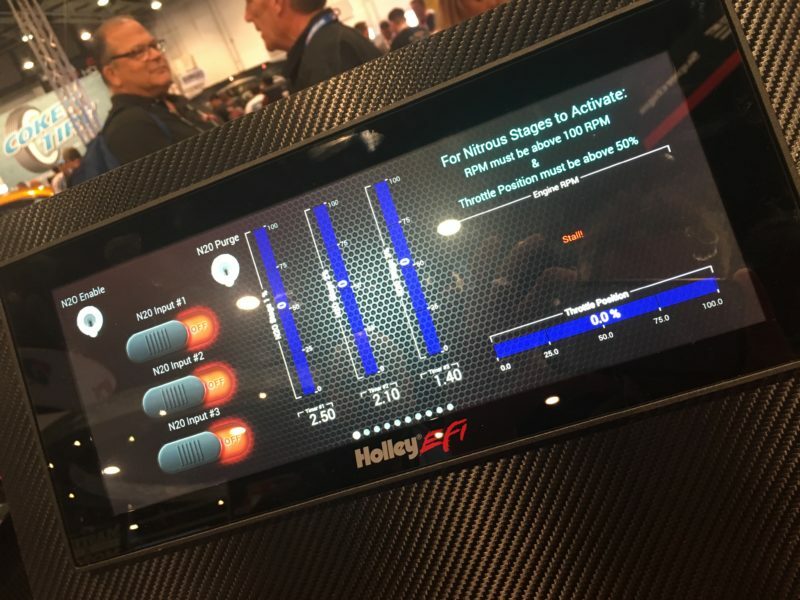 Even among the sea of cool parts launched at the 2018 SEMA Show, Holley Performance Products’ new Holley EFI 12.3″ Pro Dash is getting a ton of buzz. The motorsports applications are seemingly endless. The high-resolution touchscreen works just like your phone—no stylus required. The Pro Dash can monitor as many as 238 real-time values, like rpm, TPS, boost—everything, really. It is designed specifically to work with the Holley Dominator EFI system and the Holley HP ECU, including V4 Build 110 or later firmware. The new system eliminates the need to plug in a laptop computer for on-the-fly tuning. Want to quickly adjust timing or boost in the staging lanes? Of course, you do. Now you can. The digital switch panel eliminates the need for mechanical toggle switches, said Holley’s Travis Whitescarver. 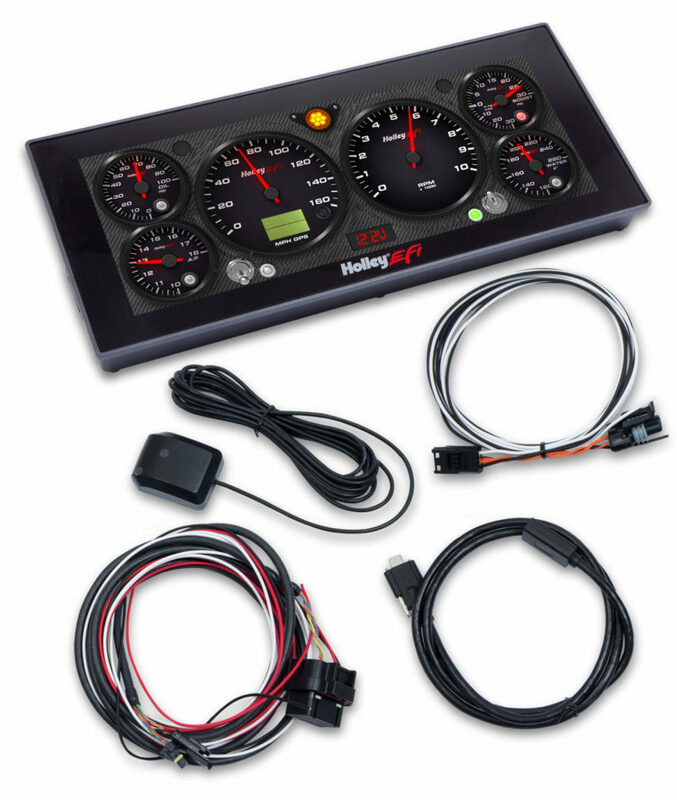 The Holley EFI 12.3″ Pro Dash comes with everything needed for installation. A 34-pin connector has 13 multi-configurable inputs for most Holley EFI sensors (and can be configured to work with non-Holley sensors as well), like your pressure and temperature sensors. The dash is totally customizable. You can upload any custom image you want to make your Pro Dash screen a design feature in addition to gaining total in-car control of your Holley EFI system. The system is priced at $1,799.95. No stylus required, capacitive touch, just like your smartphone. Dash weight is 3.29 lbs. Author: Matt Griswold Matt Griswold is the editor of OnAllCylinders. After a 10-year newspaper journalism career, he has spent the past seven years writing about the automotive aftermarket and motorsports. He has been with OAC since its launch in 2012.
end up on the shelf or poorly utilized.